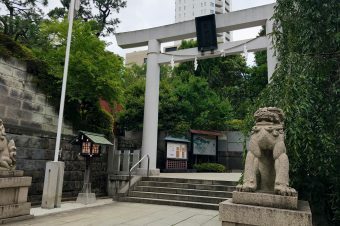 The Ikegami Honmonji Temple is located in the middle of the busy Tokyo city. If you don’t know what you’re looking for you could definitely miss it. 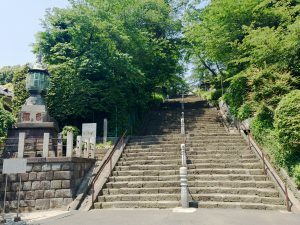 However, once you pass through the somon and see the large set of stairs, you know you’ve made it. 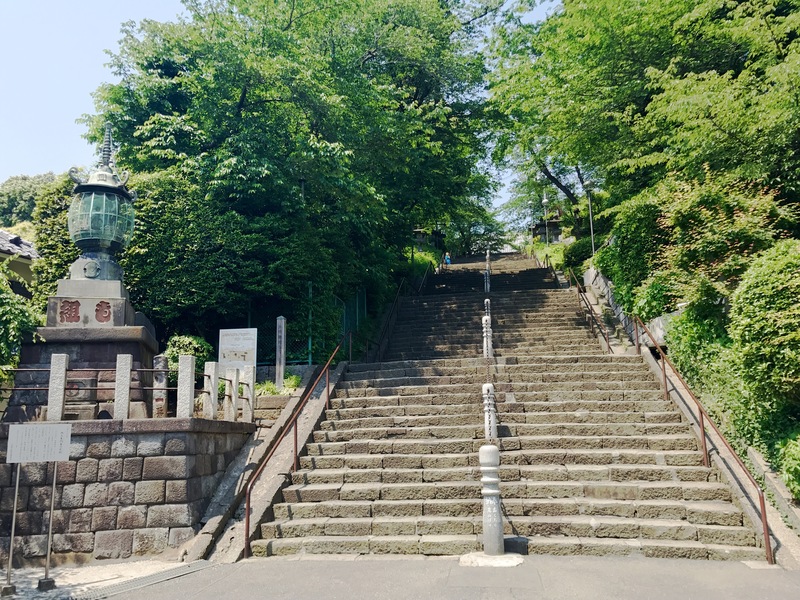 A set of 96 stairs is what separates Ikegami Homonji from the busyness of the Tokyo streets. Somewhere around stair 50 I just had to stop and look around because I felt as if I had gone back in time and I was as far away from Tokyo as possible. As I continued my journey up the stairs I had no clue what to expect and what I saw surprised and exceeded any expectations I had. 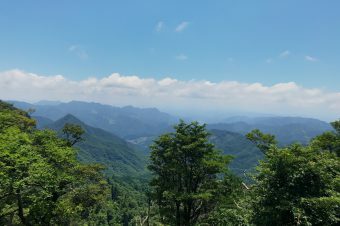 As I finally reached the top, I looked around in awe. There were so many little buildings with so many incredible details that I didn’t know where to begin. I started by walking around the grounds and stopping at the gift shop area to pick up an English pamphlet, which had a map of the temple and information about the history. From there I headed off to explore the temple grounds. The first thing I noticed were the graves. All around the temple were beautiful hand carved marble tomb stones that looked brand new. In front of them were flowers and incense. In Japanese culture it’s important to visit the graves of your ancestors, while you’re there you must glean the grave and then light incense. 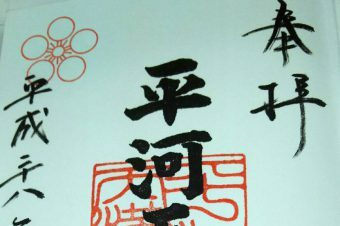 It is then you can pray to your ancestors. 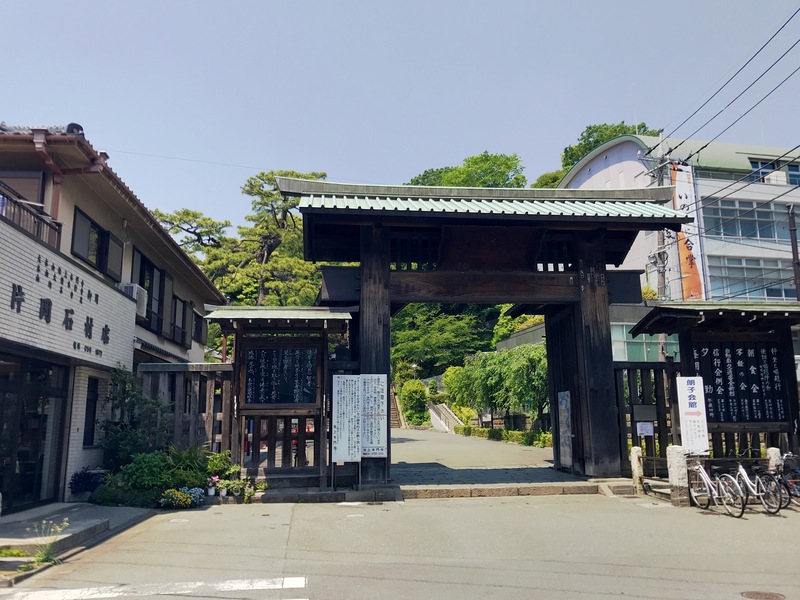 The Ikegami Honmonji temple was originally founded in 1282 by Nichiren Shōnin. 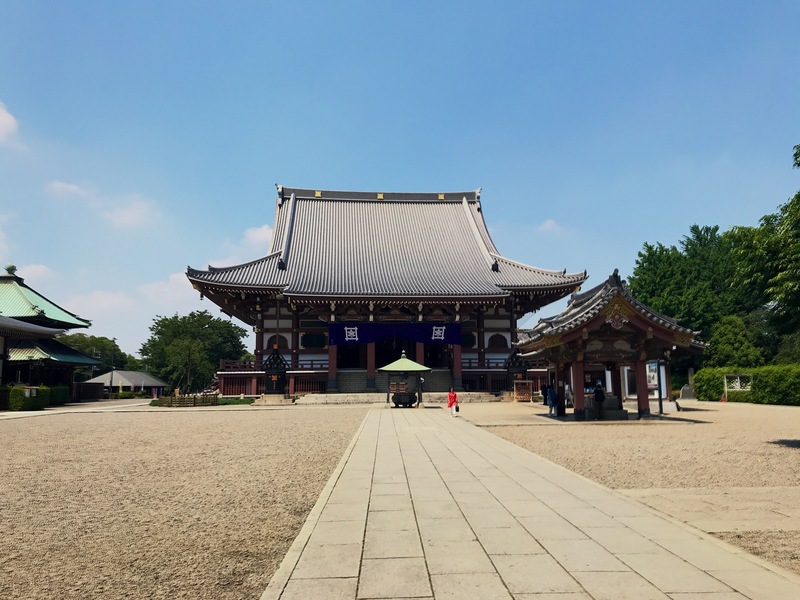 On April 15 1945, the temple was subjected to heavy bombing, resulting in the destruction of all the structures except the Somon, the five-story pagoda, and the Tahōtō. The Temple was completely reconstructed through contributions of followers throughout the country in 1964. Learning this history made me truly appreciate and admire the buildings that have been there for over 400 years. 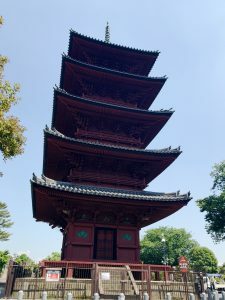 After wandering around the grounds for a while, I came across the five story pagoda. 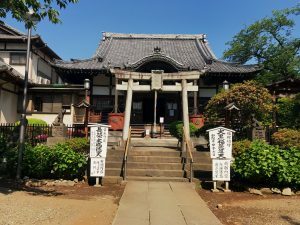 This pagoda was built in 1608 during the Keicho age of the Edo period upon the suggestion made by Okabe no Tsubone, (later known as Shoshi-in Nikkoni) who was the nursing mother of the second Tokugawa Shogun Hidetada. 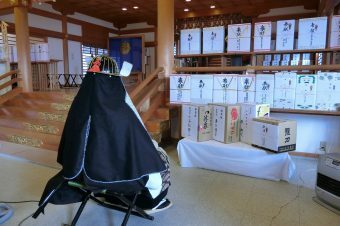 Even though this pagoda was built during the Edo period, the influence on its style came from the Momoyama period. 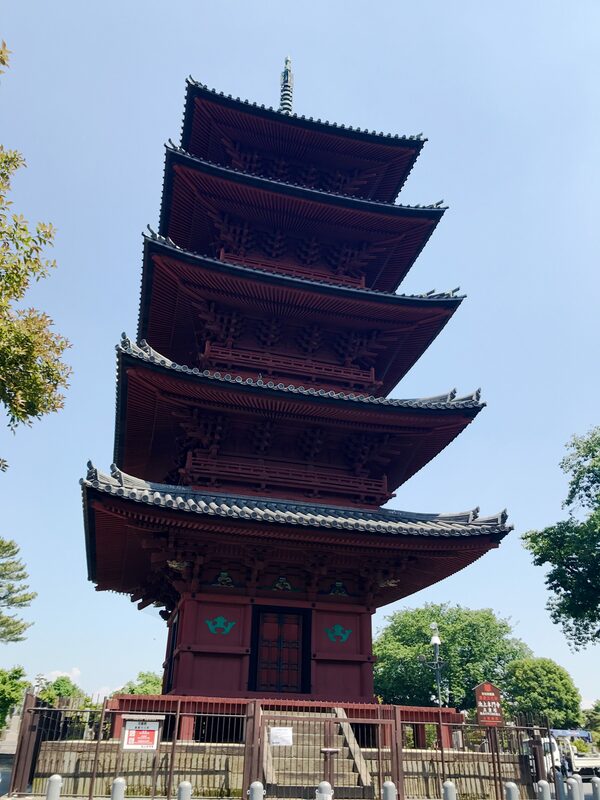 It is the oldest 5-storied pagoda in the Kanto area. This is one of the precious and old architecturally styled buildings that survived the fires caused by air raids during World War II. Along with this pagoda stands another one known as a Tahōtō . 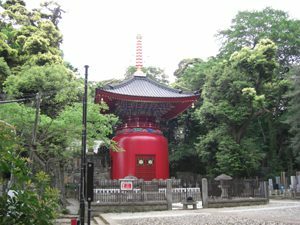 The Tahōtō is a red pagoda, which was built on the site where Nichiren Shōnin was cremated. 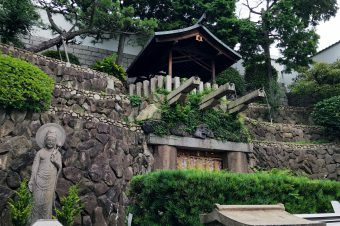 It was rebuilt in 1830 and is the only structure of its kind in Japan making it a must see for anyone who visits the Ikegami Hanonji Temple. Next we headed back to check out the Daido. Although the building was impressive It truly a shame that the original Diado was lost due to the bombing.. The Daido that is currently there was built in 1964.The current Daido is very large and is filled with gorgeous paintings and is truly an impressive building. I kept finding myself getting lost looking at the details of the smaller buildings, one specifically that caught my eye was the Choeido Temple. Not only is it a beautifully intricate temple, but it’s very unique because it has its Tori gate at the top of the stone steps instead of before them. 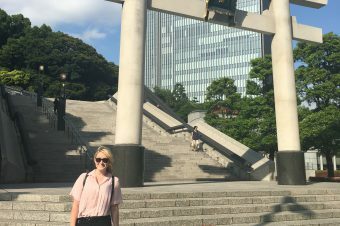 We spent a few hours wandering around the Ikegami Honmonji temple and I still didn’t feel like that was nearly enough time. If you have the chance to visit this temple you shouldn’t pass it up. Its deep history and incredibly intricate art work and architecture make this temple a must see.